Getting a great copier lease can be a tricky thing to do. There are a lot of different things to keep track of, and it can be hard to know what’s right. It’s always a bit easier to have someone helping you make the right choice, but who can you trust? Our modest print and copier shop in Spokane is dedicated to delivering great office solutions without the hassle. We want to offer fair copier leases in Spokane so you can get your work done without the hassle. Not all copier companies are going to be on your side. Many people will only be interested in trying to get you to sign the most expensive lease they can. They only care about getting your money, not helping your business. At Spokane Copier we operate by making customer service our top priority. 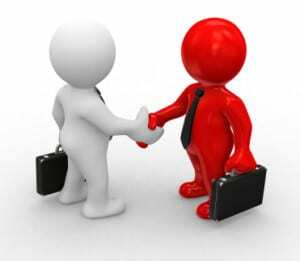 We believe in creating lasting relationships, and the only way to do that is to offer fair, and honest copier leases. Our experienced and they can help you find the solution that is going to work best for you. We can help you figure out where to start if you are a bit lost. Staring a new lease can be a challenge, but that’s why our great staff at Spokane Copier is there to help. If you want a fair copier lease in Spokane, then the best thing you can do is reach out to our great team. They are the ones that you are going to want on your side when looking for a great lease.